Belinda completed her Doctorate at the University of Melbourne and has worked extensively in both private and educational settings over the last 15 years. Belinda specialises in working with children (from preschool age), adolescents, young adults, parents and families. Belinda provides individual counselling and therapy, as well as parent and family consultations. Anxiety, depression, self-esteem, social issues, school problems and life transition and adjustment issues, are all among her areas of expertise. Sessions are tailored according to individual needs and Belinda draws on a variety of evidence-based practices to ensure each client receives the most effective therapeutic interventions and strategies, such as Cognitive Behaviour Therapy (CBT), practical Solution Focused /Brief Therapy, Mindfulness and Play Therapy. Belinda also has a strong interest in psychological and educational assessment - intellectual ability (IQ), learning difficulties and disorders (e.g., Dyslexia), academic performance, behaviour, social and emotional skills - and she thoroughly enjoys working with and supporting children and young people to realise their potential. Belinda is fully registered and she holds an endorsement in the area of Educational and Developmental Psychology. Belinda is a Medicare provider and she works closely with GPs, other allied health professionals, specialists and schools. 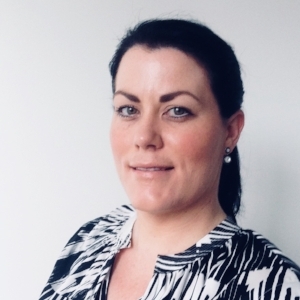 Belinda is also a Member of The Australian Psychological Society (APS), a Fellow of the APS College of Educational and Developmental Psychologists, and a member of both the APS Child, Adolescent and Family Psychology interest group and the APS Psychologists in Schools interest group.